“What it is like to live in Ireland in 2019 and what does the flag's message of peace mean to me”. 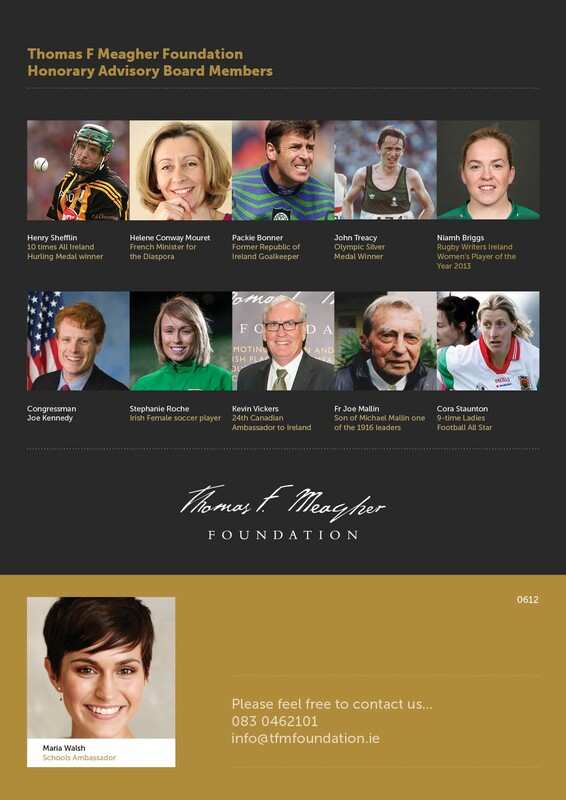 Congratulations to Kate Lynch of Regina Mundi Cork. 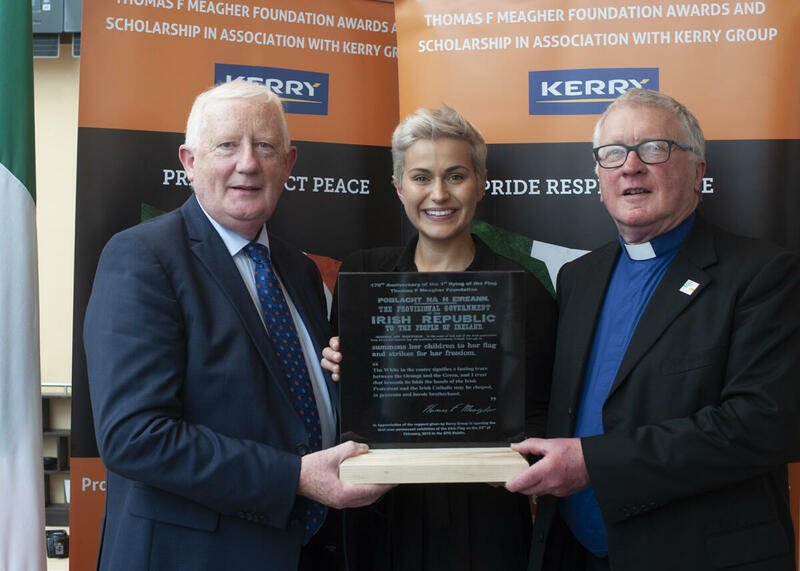 The Thomas F. Meagher Foundation has established a school Awards and Scholarship Programme in association with Kerry Group which will be launched during Flag week in 2016. 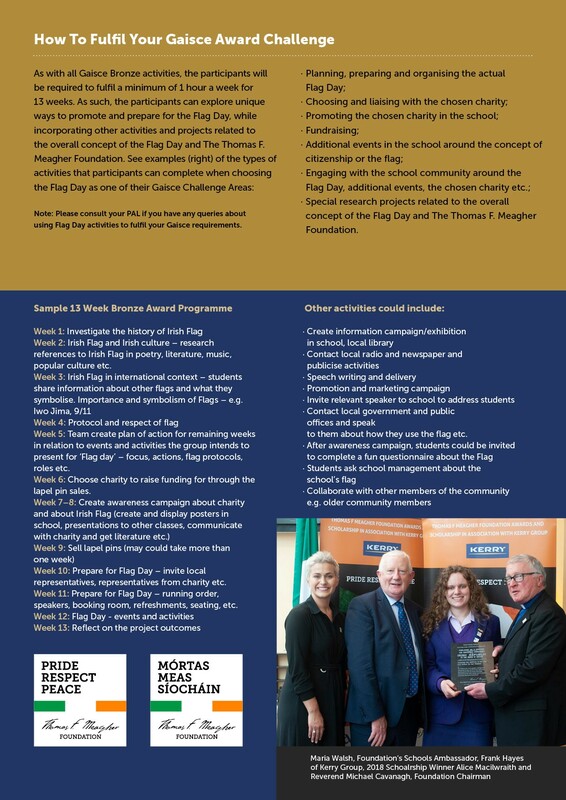 This is to recognise outstanding students who have promoted pride in and respect for the Irish Flag and who are also active citizens in their community. 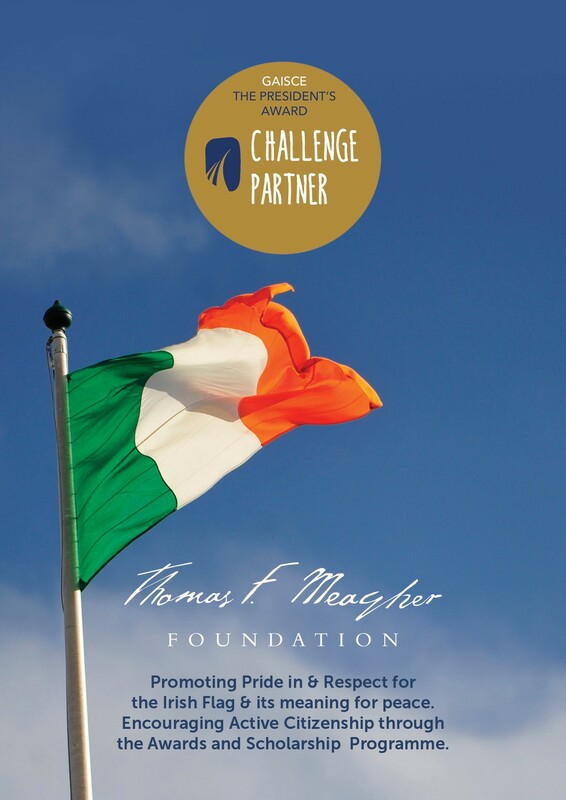 In 2016, the Thomas F. Meagher Foundation will officially begin this exciting programme of activities, giving every school a chance to take part; offering one appointed/nominated student from each participating school the opportunity to be awarded a Scholarship from one of the Foundation’s Education Partners. 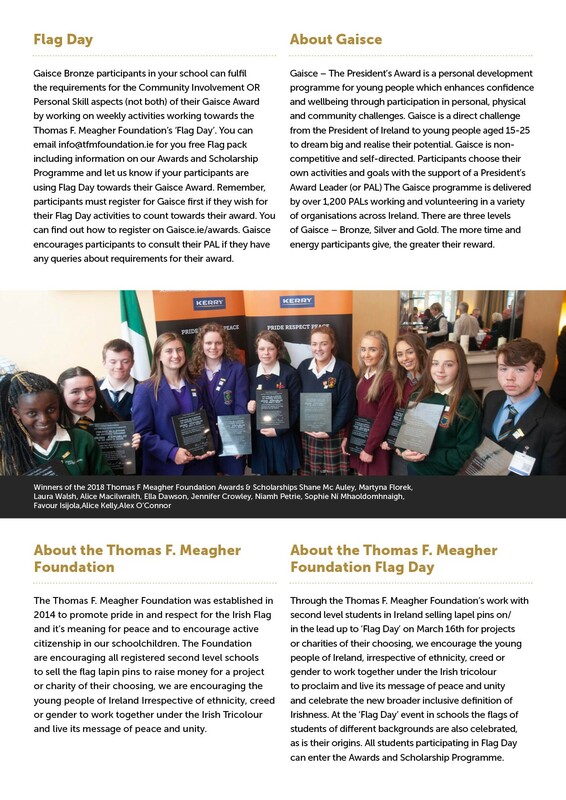 Once you register, your school will then receive from the Thomas F. Meagher Foundation in February to include lapel badges and supporting material to be sold by the students as part of participation in active citizenship within the community and school. You can choose a charity of your choice which all funds raised from the sale of pins and stickers will be awarded to. You will also receive information on the requirements to participating in Flag Week and the necessary steps to be in with a chance of winning a Scholarship. There are lots of ways to be an active citizen in your community and the above are examples to help you!